This year, on Tuesday, December 1, 2015, Fund for Assistance to the Russian Church Outside of Russia is participating in #GivingTuesday, for the second year in a row. #GivingTuesday is held annually on the Tuesday after Thanksgiving (in the U.S.) and the widely recognized shopping events Black Friday and Cyber Monday to kick-off the holiday giving season and inspire people to collaborate in improving their local communities and to give back in impactful ways to the charities and causes they support. Last year, more than 27,000 organizations in 68 countries came together to celebrate #GivingTuesday. Since its founding in 2012, #GivingTuesday has inspired giving around the world, resulting in greater donations, volunteer hours, and activities that bring about real change in communities. We invite you to join the movement and to help get out and give this December 1. 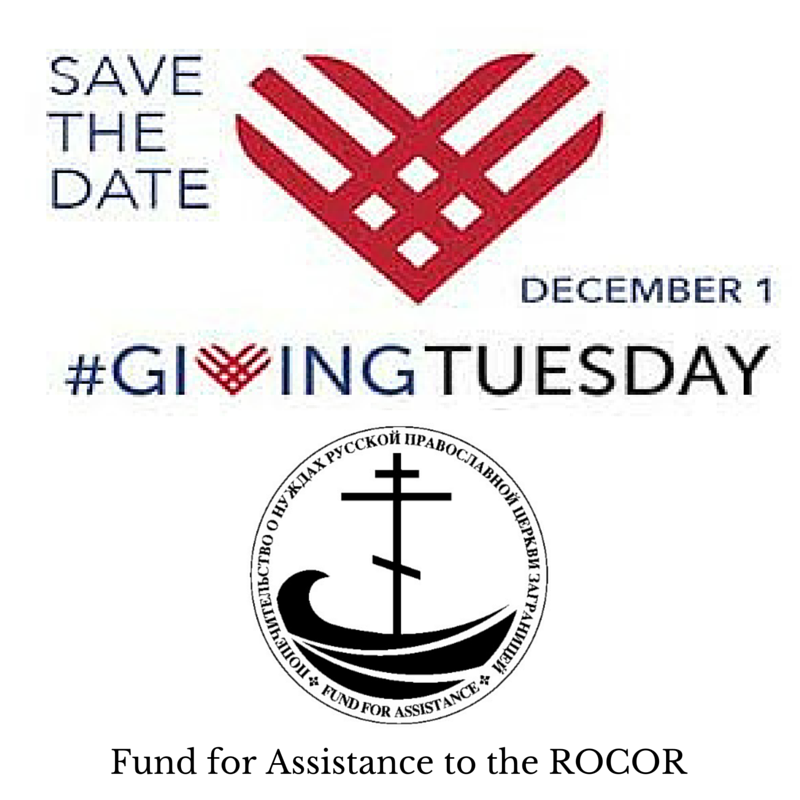 ​​For us, last year, thanks to generous donations from our donors Fund for Assistance to the ROCOR was able to raise over $20,000 on Giving Tuesday​ with our matching appeal. We hope with your support we can make Giving Tuesday a day when we give back to the Church who already gives so much to us. Let's make Giving Tuesday, 2015 another success! We need your support to spread the word about #GivingTuesday to talk about our nonprofit. 1. 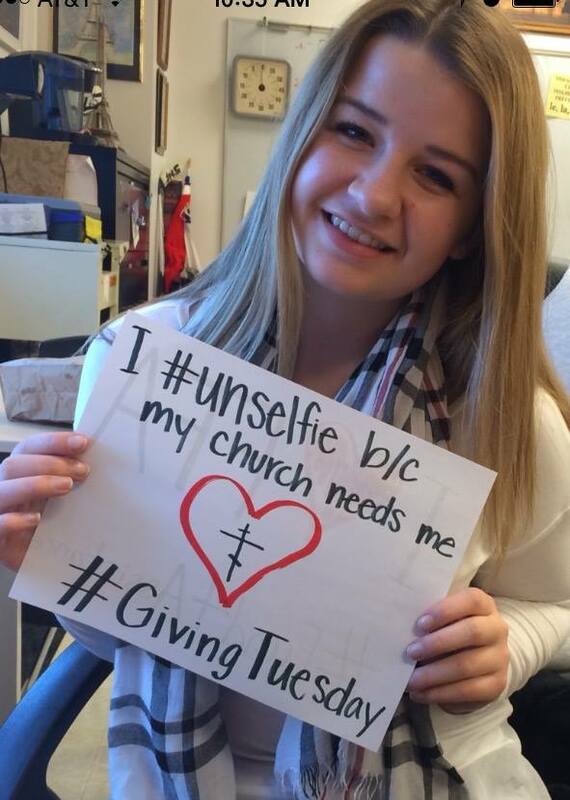 Take an "UNselfie", which is essentially a photo of you holding a sign explaining how or why you are "giving" this year. 2. If you use social media, please post your photo with hashtags #UNselfie, #GivingTuesday, #Fund4Assistance and tag us @Fund4Assistance. 3. Upload to your Instagram, Twitter, and/or Facebook and share with friends! ​For your convenience we are attaching a save the date picture, an #UNselfie example, and an #UNselfie page where you can write about your own support for #GivingTuesday to share on social media. Every action helps and we are most grateful.